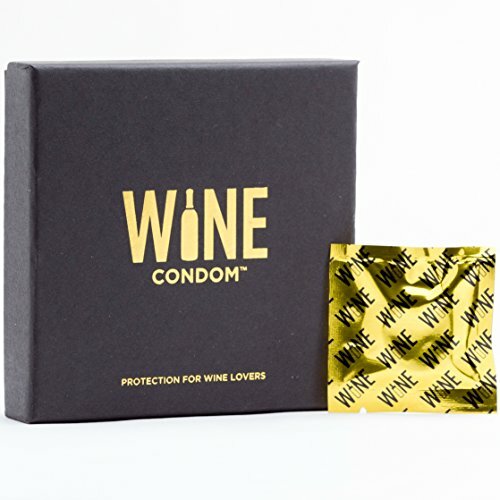 Wine Saver Condoms provide protection. Protection against unwanted dribbles in your front seat, or back seat for that matter, on the way home in the car with a half drunk bottle of wine after lunch or dinner out. Wine Bottle Condoms also provide a talking point when you roll them on at adult dinner parties. For couples who like eating out these could be a real boon. One bottle of wine will send you way over the limit, so inevitably you are either restricted to lousy house wine or taking your wine back home with you. The problem of lost or badly fitting caps are solved by using a wine condom which prevents the fluids from escaping. The condoms fit the rim perfectly ensuring a snug fit and preventing oxidation. If you’re feeling hot and need an escape, what better than a nice cool glass of wine from that bottle that didn’t get finished the other day, kept fresh and nice and cool in the fridge. You’ll be glad you fitted your wine bottle condom then! The wine bottle condoms can also be washed with mild soap and water, left to dry and then re-used. We’re pretty sure they are not dual purpose though, even for the under-endowed! Keeps your wine smooth and tasty. Impenetrable, your safe because it cannot be torn or ripped while it’s on. Perfect gifts for birthdays, and holidays.